Welcome to the EC Terms, Conditions, and Notices page. All information on this page was compiled and written by George Tsiattalos. The letter "I", the word "me" and the name "Everything Connects" are used interchangeably in reference to George Tsiattalos. If you have any questions, concerns or comments, please feel free to contact George. All text that doesn't fall within quotations on this website is licensed under a Creative Commons Attribution-Share Alike 3.0 (CC BY-SA 3.0) License. This means you are free to copy, share and adapt the text as long as you link back to this website, and preferably the relevant page, as a source. Text that falls within quotation marks is a direct line of text or a quote taken from a third party source, that is noted and sourced as a link immediately before or after the quotation. This text should be linked back directly to the third party source or related page, as provided in the link. All images on this website that do not have the "Everything Connects.org" watermark at the bottom or top of the image and all videos other than the "What is Everything Connects?" video are to be used in their own respective manners as noted by the original copyright owner. Virtually all of these images and videos have either been purchased or fall within public domain to use for non-commercial, educational purposes and to not change or edit the images or videos, although some may require permission to use. Please contact or view the original copyright owner's licensing criteria to make sure you use their materials appropriately. All images and videos that do not belong to Everything Connects are sourced to their respective copyright owners or origin of discovery, unless they have been purchased and do not require sourcing. All photos with the "Everything Connects.org" watermark at the bottom or top of the image and the "What is Everything Connects?" video have been created by George Tsiattalos and are licensed under a Creative Commons Attribution-NonCommercial-NoDerivs 3.0 Unported (CC BY-NC-ND 3.0) License. This means you are free to copy, distribute and transmit the work as long as it is not used for commercial purposes, you attribute the work to George Tsiattalos with a link back to this website, preferably the relevant page, and you do not alter, transform, or build upon this work. For further use, please contact me. This site contains some images and excerpts the use of which have not been pre-authorized. This material is made available for the non-commercial, educational purpose of analysis and critique, as well as to advance the understanding of environmental, political, health and social issues. The 'fair use' of such material is provided for under U.S. Copyright Law. In accordance with U.S. Code Title 17, Section 107, material on this site (along with credit links and attributions to original sources) is viewable for educational and intellectual purposes. If you are interested in using any copyrighted material from this site for any reason that goes beyond 'fair use', you must first obtain permission from the copyright owner. All images and videos that do not belong to Everything Connects are sourced to their respective copyright owners or origin of discovery, unless they have been purchased and may not require sourcing. Everything Connects makes no warranty of any kind (express, implied or statutory) in relation to its content and excludes (to the extent permitted by applicable law) all such warranties. The content contained on this website is provided for general information only. It is your obligation to verify independently any advice or information received through the content on this website from primary sources (links are provided whenever possible) of information. To the extent permitted by law, Everything Connects excludes all liability in tort (including negligence) or otherwise for any costs, losses, claims, damages, expenses or proceedings (including special, incidental or consequential loss or damage, loss of profits and wasted management time) incurred or suffered by you arising directly or indirectly in connection with this website and its content including any loss, damage or expense arising from, but not limited to, any defect, error, imperfection, fault, mistake or inaccuracy with this website and its content or due to any unavailability of part or all of the website or any content. This website contains material created by third parties. Everything Connects excludes all liability for any illegality arising from error, omission or inaccuracy in such material and Everything Connects takes no responsibility for such material. This website also contains links to other websites which are not under the control of and are not maintained by Everything Connects. Everything Connects makes no warranty as to the accuracy completeness or fitness for purpose of any material on these sites. 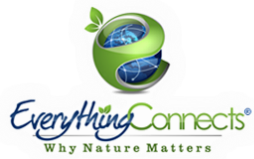 Everything Connects provides these links for your convenience and for information sourcing purposes. In the event you purchase or obtain goods or services from a third party then your acquisition of such goods or services will be in accordance with the third party's terms and conditions and Everything Connects will have no liability to you in respect of the same. These forums are a public space and George Tsiattalos is not responsible for the opinions expressed in comments nor is George Tsiattalos responsible for links posted in comments to external sites. Please keep comments civilized and on-topic. If you can't respond to another user's comment without name-calling or insulting them, then you do not have a point worth sharing with the public. Threads that turn into a back-and-forth contest of insults are subject to multiple post deletion and all posts connected to a deleted thread or post may also be removed. In posting on the Everything Connects website, you explicitly agree to the terms herein. George Tsiattalos reserves the right to modify or amend these terms from time to time without notice. If you continue to use this site after changes are posted to these terms, it will mean that you accept those changes. Arguments and debates are fine, but no name-calling, profanity, obscenity or abusing your fellow readers! You are welcome to challenge each others ideas, but insults and threats will not be tolerated. This includes letters replaced with asterisks or abbreviations. If you believe a comment is out of line, click "flag as inappropriate" so that I can review it, but do not repeatedly abuse this privilege unnecessarily or purely out of spite as it can lead to your banning. Stay on topic. Some conversational drift is fine, but hijacking a thread is not. Don't post the complete text of an article. Rather post a few important points or a paragraph or two with a link to the original article. Don't pretend to be someone else or fabricate affiliations with others. A lengthy rant filled with gibberish is subject to deletion. Don't post any unlawful content, spam the same post over and over, violate the rights of others, post advertisements, links to viruses, requests for donations, commercial solicitations or use foreign words or phrases that are outside common knowledge, large fonts, excessive use of caps, a variety of colors or other distracting formatting techniques. Breaking these rules may result in the deletion of comments or banning of your account, with or without warning. Information is collected from you only if you subscribe to blog updates, contact George, report a broken link, use the UserReport 'Feedback & Ideas' feature or when optionally claiming a nature photo upon making a donation of $10 or more. Following the donation, you have the option to enter your name, e-mail address and mailing address to receive a free nature photo. You may, however, visit this site anonymously and are allowed access to all areas of this site without having to provide personal information of any kind. Your information, whether public or private, will not be sold, exchanged, transferred, or given to any third party for any reason whatsoever, without your consent, other than for the express purpose of delivering the photo requested. If you sign up to receive email updates from the Everything Connects Blog, the email address you provide will be used solely for this purpose. Upon visiting the Contact page, you have the option to fill out a contact form requiring your name, email address and message. Your email address will be used for the purpose of communicating with George Tsiattalos. However, at the discretion of George Tsiattalos, your name, email address and message may be shared with a third party if problems arise, such as the continuous harassment of George Tsiattalos. To report a broken link, you must submit your name and email address. Please be assured your email address will remain private and used solely for the purpose of delivering information to an EC administrator about a broken link. Information you provide to Everything Connects is stored in a secure location and is accessible only by an administrator. Is your information disclosed to any outside parties? Your personally identifiable information will not be sold, traded, or otherwise transferred to outside parties. This does not include trusted third parties who may assist in operating this website or servicing you, so long as those parties agree to keep your information confidential. Frequently, at the discretion of George Tsiattalos, third party sources, products or services are linked to or offered on this website. These third party sites have separate and independent privacy policies. George Tsiattalos therefore has no responsibility or liability for the content and activities of these linked sites. Nonetheless, I seek to protect the integrity of this site and welcome any feedback about these sites.